If you’ve got dry patches of rough bumps on your skin, chances are, it’s been a frustrating journey to get to the bottom of what’s causing them. 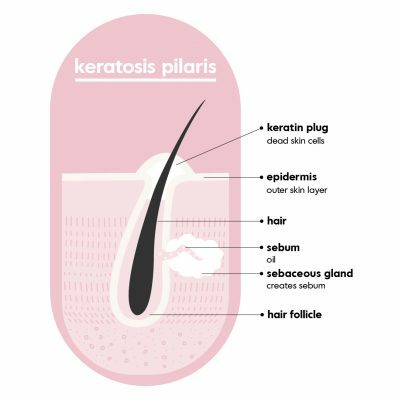 Bumpy like acne but dry and itchy like eczema, keratosis pilaris is often mistaken for a number of different things. 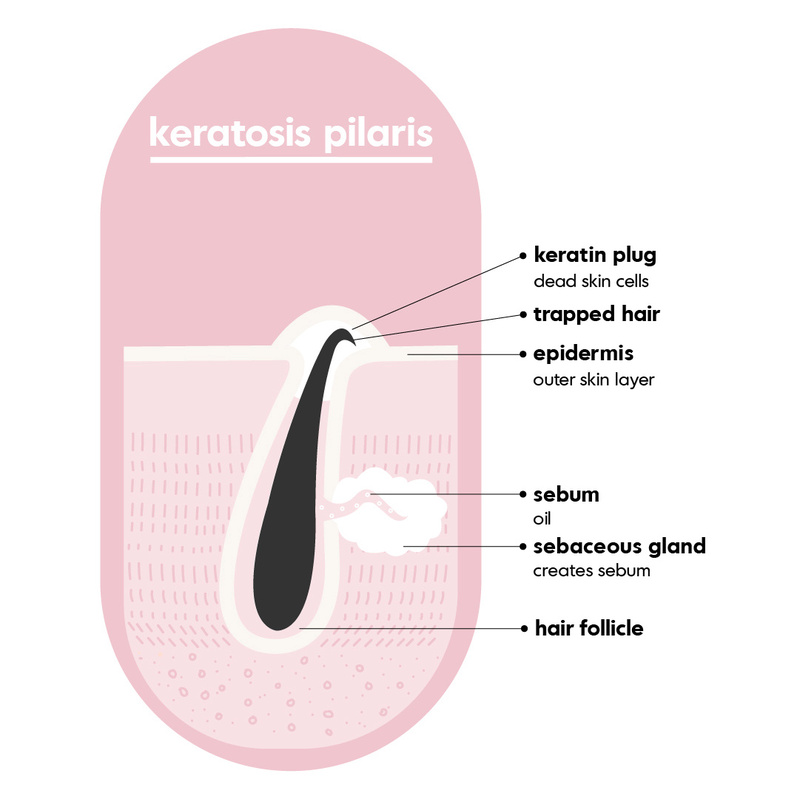 But if you’re here, reading this, and it’s very clear you’ve got keratosis pilaris, that means you’re already on the right track to finding a treatment to alleviate those symptoms! Am I doomed now that I’ve been diagnosed with KP?! No, no, no! First of all, Keratosis pilaris is super common… it’ affects up to 50% of people in the United States, and nearly 80% of adults experience some form of KP at some point in their lives. Now, just as important to know, is that aside from the occasional itchiness that sometimes comes with these patches of rough dry skin, keratosis pilaris is not something you need to stress yourself out over. Easy to say when you’re not itchy and uncomfortable, we know, but just know that KP is not contagious or super serious AND the symptoms can be treated if clear skin is a priority for you! 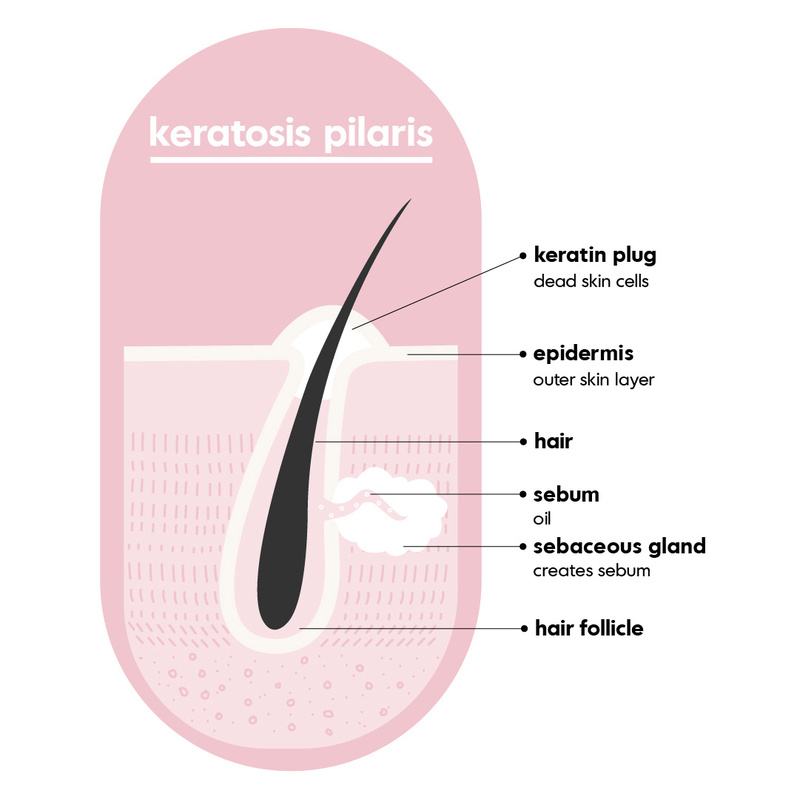 Okay great, how do I treat keratosis pilaris? First thing’s first — it should be known that there is no real cure for keratosis pilaris. Ugh, sorry! The good news, however, is that the symptoms can be treated. So, what can we do about these bumps? In order to rid the skin of those dry, goosebump-like protrusions, you’ll need to get that build-up of keratin out of those pores so your skin can get back to being smooth and supple. Check out the graphics below to see what clogged KP pores look like! 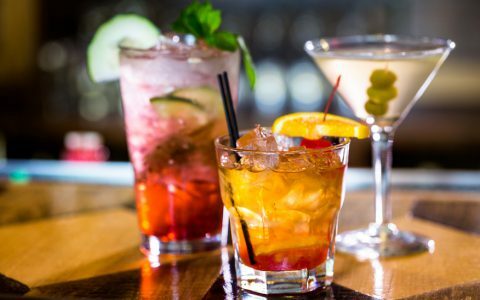 The best way to do this? Regular exfoliation. Exfoliating is a good practice to keep for all skincare routines as it rids the surface of the skin of dead skin cells, which can lead to dullness, dryness, and clogged pores. To slough your skin of that dead weight, you can approach the matter in two ways: with physical exfoliation, or chemical exfoliation. 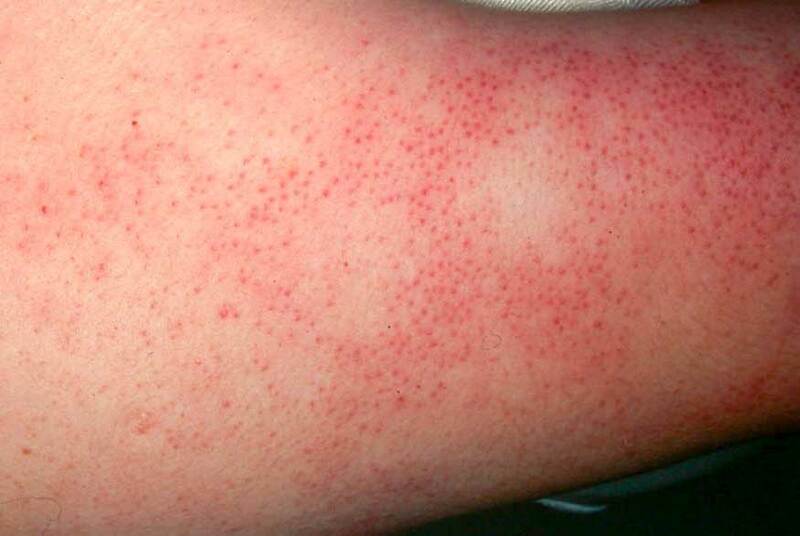 Which exfoliating products are best for keratosis pilaris? We’re glad you asked! Physical exfoliation is what comes to mind for most people when they think of exfoliating. That apricot scrub you probably used all the time in high school? That’s a prime example of a physical exfoliant. They scrub the skin with the help of gritty abrasives, like beads or shell fragments, and you can find countless varieties on the shelves of drug stores and beauty supply shops. Using physical exfoliants can be a great way to deal with dry flakes and stubborn keratin spots. For some people, however, scrubs or exfoliating treatments like microdermabrasion can sometimes lead to too much dryness or irritation — that’s especially true for people with already dry or sensitive skin. The other way to get rid of that build up of dead skin is to look to chemical exfoliants like acids (we know that sounds scary but we promise, they’re not!) to lift that layer and cleanse your skin. 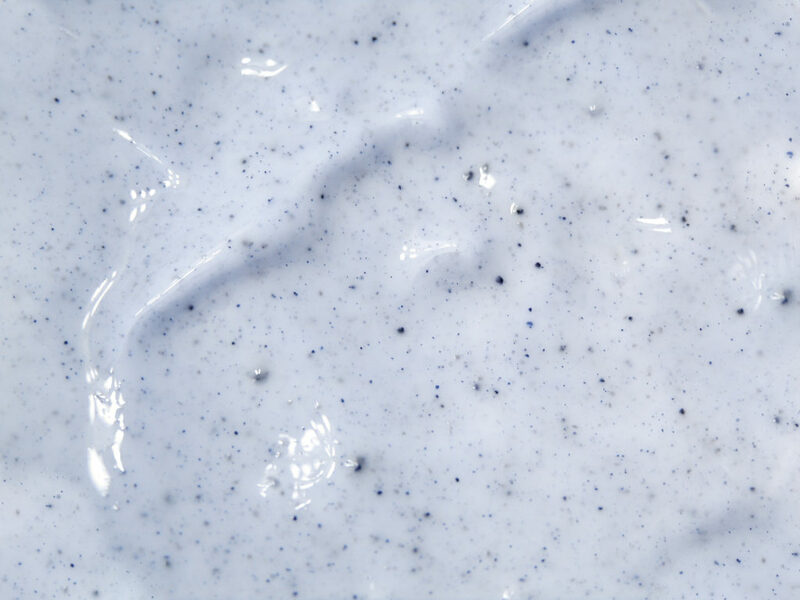 Chemical exfoliants are divided into two categories: alpha hydroxy acids (AHAs) and beta hydroxy acids (BHAs). One of the most common chemical exfoliant is salicylic acid, which is a BHA found in many acne products from cleansers to creams. And then there’s glycolic acid. 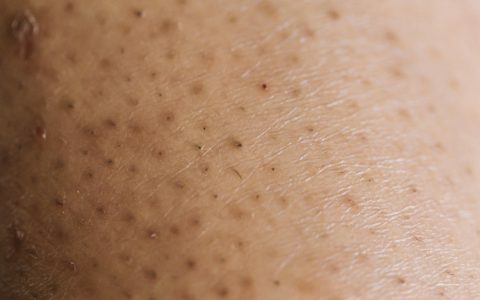 To put it simply, glycolic acid is the easiest and most effective way to treat keratosis pilaris. That’s because it’s an AHA with a small molecular structure, which allows it to penetrate the skin’s surface to break up all those rough, dry cells that are blocking things up. It’s also safe enough to use every day, and it’s a humectant, which means it retains moisture in the skin — a must for anyone hoping to treat dryness. The best part? Glycolic acid is found in a number of different kinds of skincare products designed to treat the face and body, from cleansers to toners to serums. 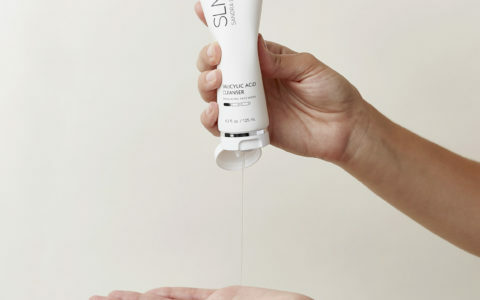 The SLMD Glycolic Acid Body Scrub is a combined physical and chemical exfoliator — it’s got tiny little scrubbers, plus glycolic acid, lactic acid, and willow bark extract. 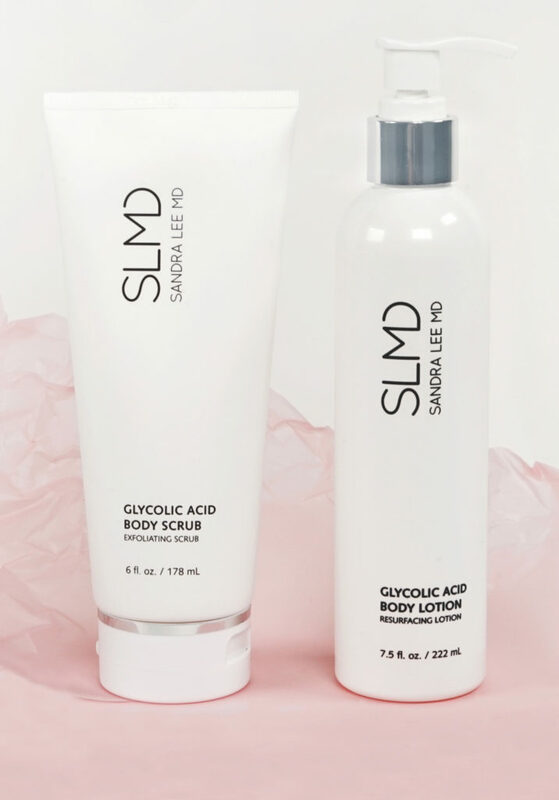 Then there’s the SLMD Glycolic Acid Body Lotion, which uses glycolic acid to gently shed skin cells and shea butter to further hydrate dry areas and lock in moisture. As with any new skincare product, be sure glycolic acid works well with your skin by doing a patch test before applying it to larger areas, and increase use slowly over time to reduce the risk of irritation.